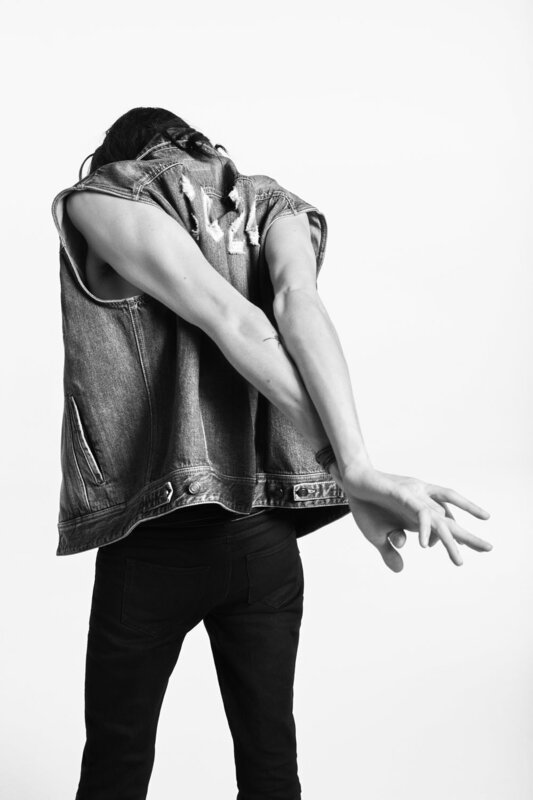 Vaccarello’s new venture sees Saint Laurent ushering in a new assortment of denim. Hashtagged YSL23, the Saint Laurent Denim collection features much of the prevalent slim fitted legs we’ve seen strutting down the runway since Anthony Vaccarello’s appointment and includes jackets, sleeveless and otherwise, and even cut-offs. Featuring models Kaia Gerber, Simona Kust, Martina Boaretto, Mads Mullin, Rebecca Leigh Longendyke, Dakota Lindvall, Najib, Rai Langlois and Dylan Christensen, photographer Gary Sorrenti captures the effervescent youth that is so ubiquitous with Saint Laurent’s uber-cool uber-nonchalant ethos. 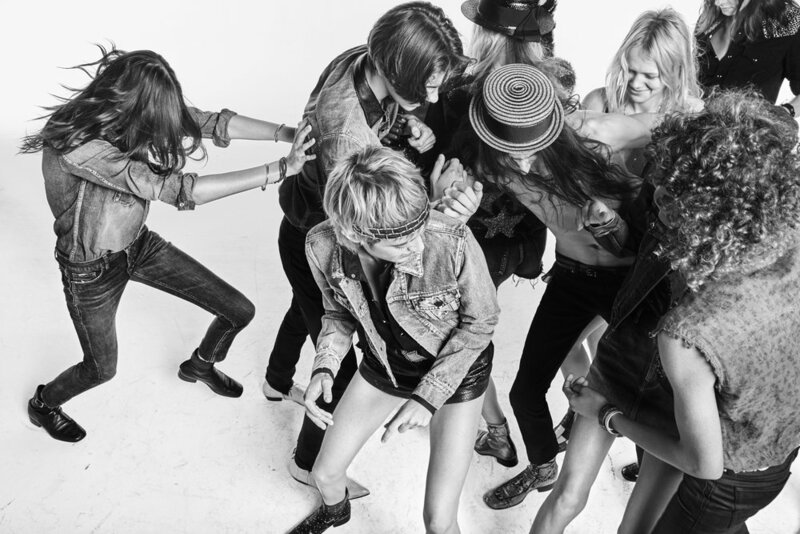 In a black and white model mosh pit with music provided by Maggots Brain, the accompanying video for the campaign showcases ‘Funkadelic’ bouncing in some of Saint Laurent’s most desirable signatures from the collection, denim in tow bien-sur.